Speech-language pathologists, also known as speech therapists, play a huge part in diagnosing, treating, and managing communication disorders (which include recovery from strokes, brain injuries, hearing loss, developmental disabilities, and autism). Speech-language pathologists can be found in a variety of medical and educational settings: hospitals, elementary and secondary schools, colleges and universities, health clinics, and private practice offices. 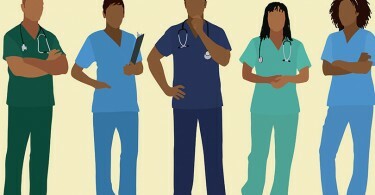 They typically work a 9-to-5-type schedule in an office, seeing patients on an appointment basis. Speech-language may specialize in treating communication disorders in particular age groups, from children (including autism spectrum communication issues and developmental delays) to adults (including stroke recovery and degenerative diseases like Parkinson’s). This position also often includes research and study of speech disorders and treatment in addition to working directly with patients. Speech-language pathologists typically have a master’s degree in the field, plus licensing and clinical training. Licensing requirements vary by state, so be sure to check on your own state’s regulations for speech therapists. 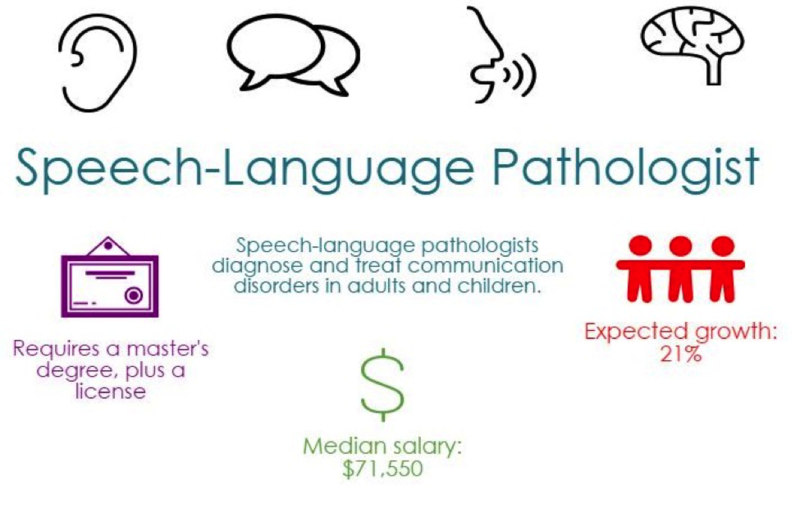 Per the U.S. Bureau of Labor Statistics (BLS), the median salary of speech-language pathologists is $71,550. 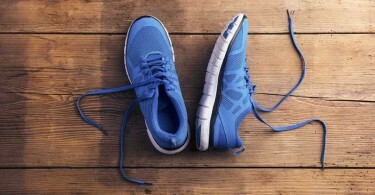 This area is a fast-growing area of Allied Health, with the BLS predicting robust 21% growth.